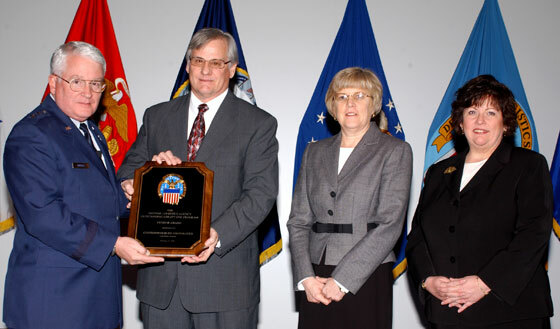 Cottonwood receives DLA Award for exceptional service in providing cargo tie down straps to the Department of Defense. Cottonwood has received nine consecutive Gold Medal Awards from the Defense Supply Center of Richmond, VA.
Cottonwood was named Outstanding AbilityOne Program Vendor Award by the Defense Logistics Institute. Nina Van Schmus, Government Contracts Manager for Cottonwood, received the Shining Star Award from National Industries for the Severely Handicapped.